Ukraine is outpacing its former overlord in game production these days. And they seems to have the "post-apocalyptic survival-horror first-person shooter" genre on lock. I really wanted to feature one of my personal all-time favorites, 4A Games' Metro 2033, for the Ukraine global gaming spotlight. But Metro is based on a Russian novel, and takes place in the subway tunnels of Moscow. S.T.A.L.K.E.R. : Shadow of Chernobyl, on the other hand, takes place in... Chernobyl, one of the most globally significant places in Ukraine. GSC Game World's title is an open-world affair, which is rare for horror. Usually, horror (whether it's in games or film or anything else) depends on a very linear storyline so the audience gets scared by exactly what the creators want them to get scared by, at the exact right time to maximize creepy pacing. On top of that, open-world games are often "jacks of all trades, masters of none" because they have to render such a huge amount of content for players to experience. This doesn't seem like the ideal approach for scaring your audience. But Shadow of Chernobyl somehow makes it work. 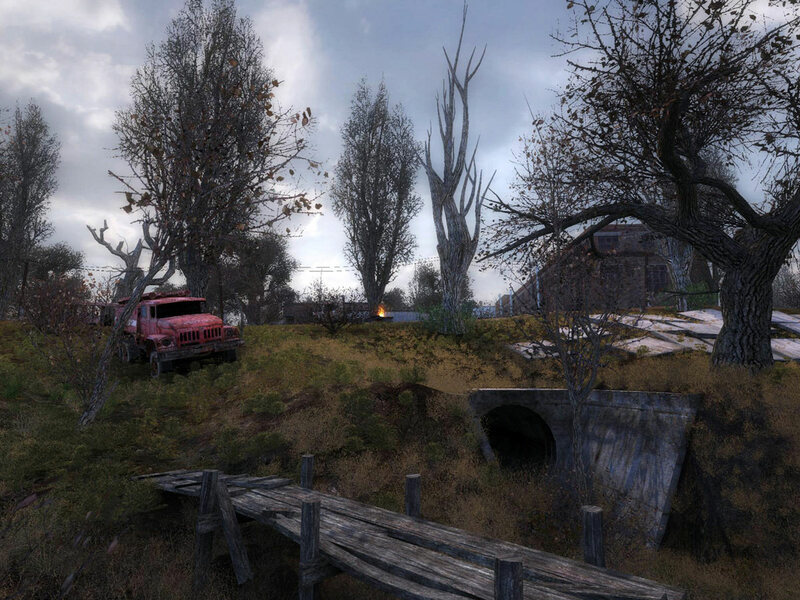 Shadow of Chernobyl achieves its goals by relying on emergent gameplay. When the player isn't told what to do, they can often scare themselves--we see this in Slender, and even to a certain extent in the creepy procedurally-generated underworld of Minecraft. Because the player isn't always sure where they're meant to go, they often peek into the most horrifying of places they didn't even know existed. I've recently fallen in love with Eastern European game design. 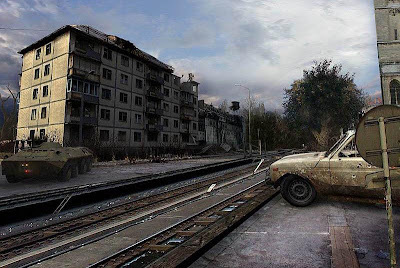 It makes sense that the whole "former Soviet republic" thing, combined with the legacy of Chernobyl, make for some melancholy post-apocalyptic choices by Ukrainian studios.